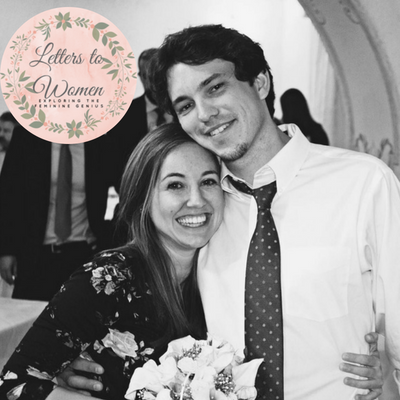 - Carolyn founded The Young Catholic Woman, where she and other women write on truth that they've experienced in their lives as women. You can also find The Young Catholic Woman on Facebook. - If you (or a woman you love!) is headed off to college, you'll want to read Carolyn's piece "Welcome to College". - Carolyn just launched "The Stewardess" on Etsy, which is a place for The Young Catholic Woman's Home. They've dreamed about expanding the shop but it never felt quite right, but now is a time for new beginnings! You'll find gorgeous home decor pieces for your home as well as books and prayer cards from The Young Catholic Woman. I've loved exploring "The Stewardess" - it's full of gorgeous finds that I always wish I could find at my local thrift stores and local shops! - Carolyn recommends any book by Father Jacques Philippe, but the one we discuss on the show is "In the School of the Holy Spirit". - We mention the presence of stress and perfectionism especially on Ivy League campuses. Here's an article from the New York Times about the subject. - Carolyn mentioned that she is a perfectionist, and I am as well. Here's a blog I wrote back when I was in college about my addiction to perfectionism and busy schedules. - Another book that Carolyn recommends is "To Light a Fire on the Earth" by Bishop Robert Barron.